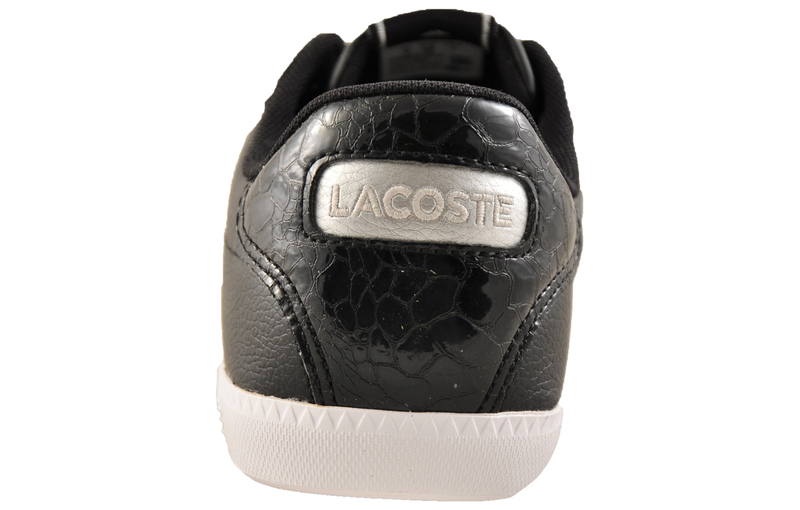 Lacoste present this women’s Graduate trainer. 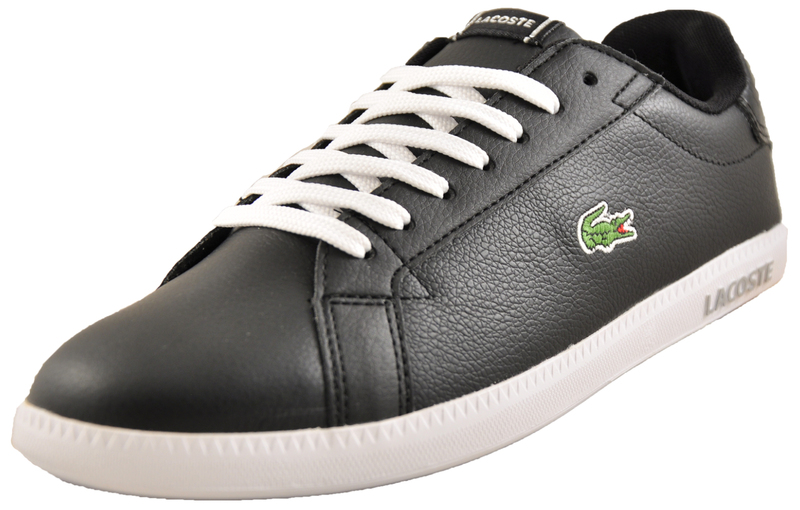 Featuring a smooth black leather and synthetic mix upper and a contrasting midsole with Lacoste branding throughout, the Graduate is a must have for any discerning woman’s footwear collection. Taking inspiration from classic tennis style silhouettes, the Graduate offers a low profile style that’s perfect for dressing up at night or taking a more casual approach during the day. 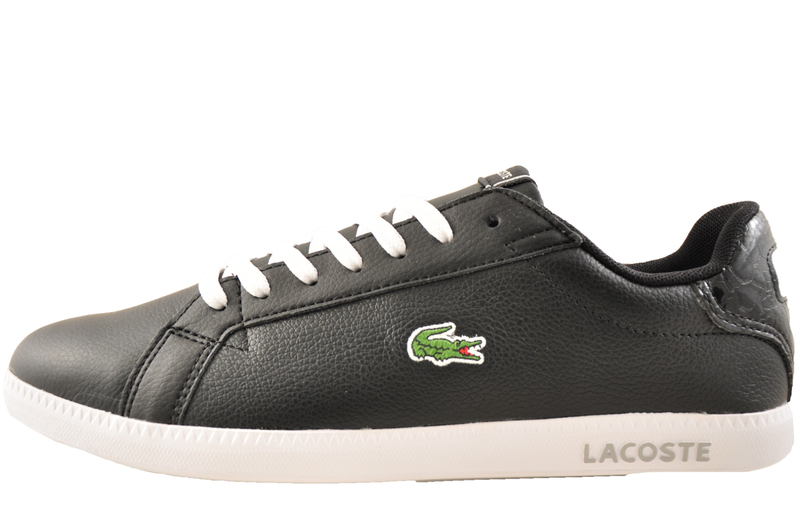 Mixing premium leather and synthetic materials in a sleek package, the Lacoste Graduate is a highly durable, hard-wearing trainer that offers long-lasting style throughout the day and night. 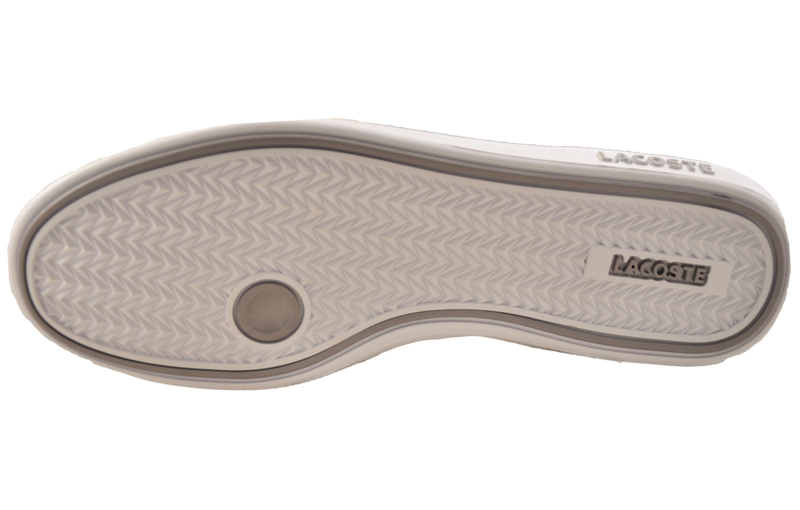 Finished with a slimmed down vulcanised rubber outsole, the Graduate offers great on trend looks making it ideal versatile trainer to add to your collection.